Want to win some great books sponsored by Romance at Random. It all starts today but is open to USA only. Enter via Rafflecopter and please visit all of the participating blogs and check out all the information that they have to offer. Please visit Romance at Random and leave me a comment with the title of a book that you would love to win and then enter via Rafflecopter. 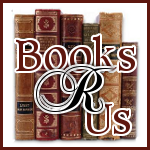 You can find so many great books on the site that you may have trouble picking one!!! I would love to read Emily March's Nightingale Way:) Thank you for participating in this fun hop. any book sent my way will be greatly appreciated! thank you for the great hop. I HAVE MORE THAN ENOUGH ROOM N MY HOUSE & HEART 4 a BOOK! thanQ 4 spreading such great unspeakable JOY!! It great to win a free book but it's even more fun to have so many wonderful be "introudced" to so many wonderful sites I hadn't know about before! Thanks to Random for sponsoring this fantastic event! I forgot to put that I'd love to win If You Wish Upon A Duke by Isabella Bradford! The Dark Garden by Eden Bradley sounds promising!